Motorcycle exhibition in Jakarta 2010 we can see the latest motorcycles from leading automotive manufacturers motorcycle. 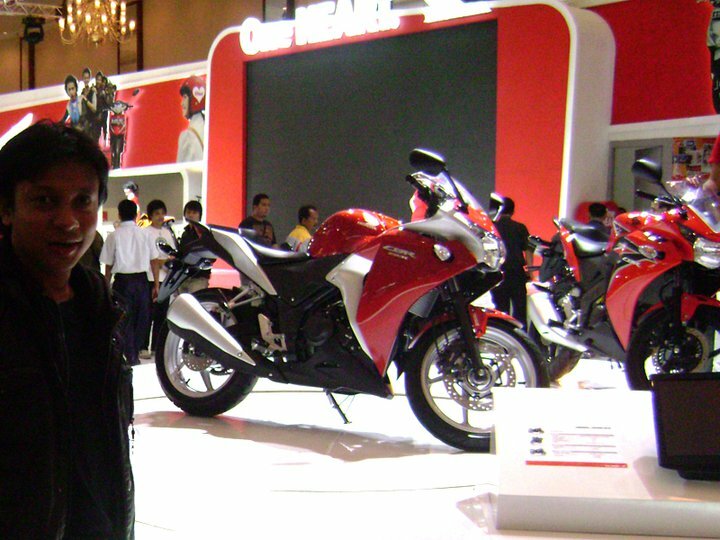 Industry supporters also enliven motorcycle exhibition which was held at Jakarta Convention Center. Collection motor what will appear in show event. Motorcycle manufacturers participating include Honda, Yamaha, Suzuki, TVS Motor, Bajaj and Piaggio. All motorcycle manufacturers will also display motorcycle concept, motorcycle accessories (like a helmet) and a variety of interesting events for the visitors. 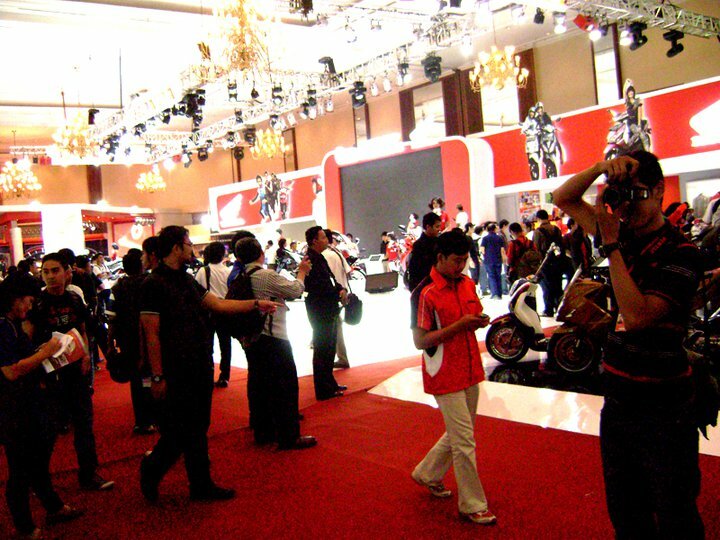 the largest motorcycle industry exhibition show event sponsored by Pertamina also provides lottery (door prize) to attract visitors. Prizes are awarded fairly excited, namely motorcycles from Honda (Techno Revo AT), Suzuki (125 SkyDrive Dynamic), Yamaha (Vega ZR), Kawasaki (Edge) and of TVS Motor (RockZ New). 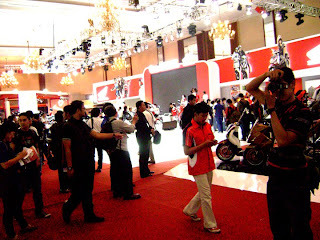 PT Astra Honda Motor show Honda CBR 250R, large motorcycles and motorcycle racing CBR 1000R RC212V. Yamaha is not to be outdone by exhibiting YZR-M1 racing motorcycle, Moped automatic (first motorcycle from Yamaha), Jupiter MX, Jupiter Z, Vega ZR (duck motors ), Byson, Scorpio Z dab V-Ixion (motor racing) and Xeon , Mio Sporty and Mio Soul. Suzuki also ready with a parade of motor collection of New Shogun, Thunder 125, Titan 115, Skywave 125, Spin SkyDrive 125 and 125. Another manufacturer that is present with TVS RockZ TVS, TVS Apache, TVS RTR and Neo. Bajaj ready to compete well with the P135-generation LS and the new Pulsar 180. this event has organized by Dyandra Promosindo cooperate with Indonesian Motorcycle Industry Association was held at Jakarta Convention Center (Assembly Hall and Main Lobby) starting on November 3 to 7 2010. Admission price of Rp 5,000 (Wednesday Thursday Friday) and Rp. 15,000 (Saturday Sunday) with opening hours of the exhibition every day from 10:00 to 21:00 pm.